KCP is pleased to bring back the Winter Webinar Series from January to March. This four-part series will focus on the Fall Gathering theme of “Conservation in the Context of Climate Change – Restoration in Action”. You can watch the third webinar in the KCP Winter Webinar Series. 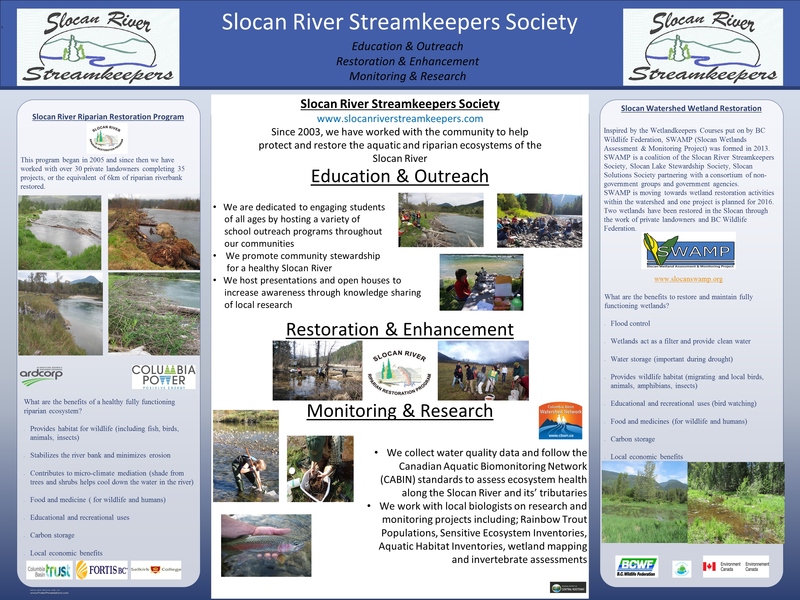 The Slocan River Streamkeepers have implemented over 40 riparian restoration projects in the Slocan Valley since 2005, restoring the equivalent of 5 km of riverbank. Some of the projects have also included fish habitat enhancement. More recently, the Streamkeepers have also implemented some wetland restoration and enhancement projects. In this webinar, Gregoire Lamoureux, restoration ecologist with Slocan River Streamkeepers, will talk about some of the projects that have been implemented over the years, the importance of good relationship with landowners, the challenges & benefits of the projects and more. The Slocan River Streamkeepers are working on a second wetland restoration project in the Slocan Valley. The goal is to restore the wetland habitat and re-vegetate the site with native species to enhance functionality and attract a diversity of wildlife species. In January 2019, an excavator dug three shallow wetland areas, and basking logs were installed for amphibians and some posts planted for nesting boxes. We also created a turtle nesting area. This spring, we will be planting native plants around the wetlands, as well as installing bird and bat houses. This project will provide habitat for a diversity of wildlife, including Western Toads, Columbia Spotted Frogs, and Western Painted Turtles, as well as bats, birds and invertebrates such as dragonfly. The strategy aims to attract diverse predators of mosquitoes to reduce their population in summer. Sampling in summer 2017 found no mosquito larvae in the wetlands we restored at Crooked Horn Farm. The Streamkeepers will continue the monitoring program to document the short- and long-term effects of restored wetlands. The Slocan River Streamkeepers would like to thank all the funders, supporters, land owners and volunteers for their support for this wetland restoration project. Thanks to all our funders and supporters! The project is located adjacent to Slocan Valley Rail Trail, hence it affords opportunities for public education and raising awareness of the importance of wetlands. Slocan River Streamkeepers invite one and all to come to Winlaw Hall on October 13 and watch “Primeval: Enter the Incomappleux”. 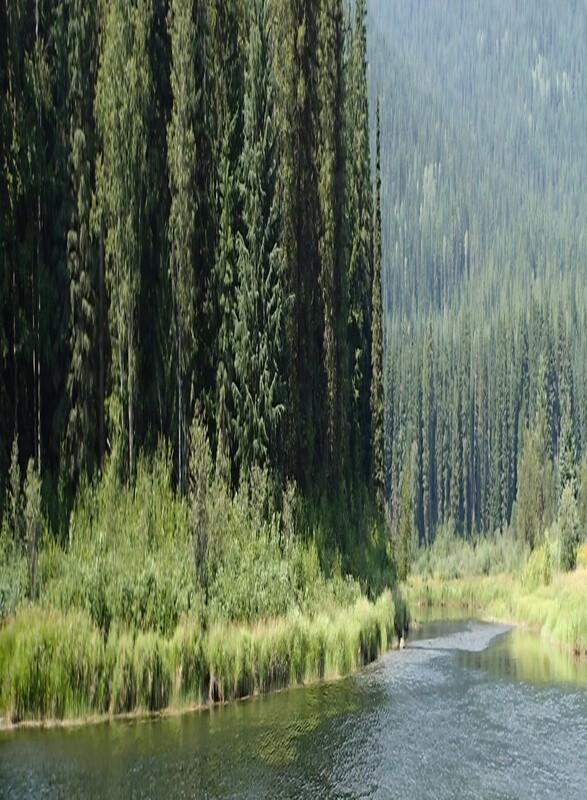 Viewers have called this documentary, by filmmaker Damien Gillis, “breathtaking.” The Incomappleux River is a major tributary of the Columbia River in BC. Primeval is an apt descriptor for the core of the Incomappleux Valley, as it’s considered one of the world’s last truly intact temperate rainforests. Areas remain that have been developing continuously since the last ice age, and some trees in the valley are up to 2000 years old. The Valhalla Wilderness Society initiated the making of the film “because we wanted people everywhere to experience, in some way, this ancient heritage known by our ancestors.” At 7:00 pm Craig Pettitt will present a slide show, as a prelude, about the proposal for VWS’s Selkirk Mountain Caribou Park Proposal. Admission by donation at the door, which opens at 6:30. The Regional District of Central Kootenay has provided grant funding of $5,600 enabling us to hire someone to research and compile findings of past studies of the ecology and hydrology of the Slocan River. Part of the intent is to identify areas of worthwhile study for the future. We’ve hired Dominique Monnier — a graduate of Selkirk College’s Integrated Environmental Planning program, subsequently working for two years as a BC Park Ranger, and afterwards as a field technician and field supervisor in biological and environmental programs. The study will include a review of fish assessments, and animal, plant, and habitat conditions, as well as geographical features that define the life and function of the river. We expect the work will also suggest management strategies for maintaining ecological integrity. This review and analysis will give Slocan River Streamkeepers direction in planning future restoration work and protection of past projects. We thank the RDCK for the support. We’ll keep interested public informed on findings through newspaper articles and this website. Concerned about Mosquito Control & wondering how to vote on this important item? Streamkeepers have reviewed the proposal for the Slocan Valley and long-term effects of BTI. We invite you to see what we have learned and the options you have. Become informed before you vote. This is important as it affects the larger river ecosystem. Thursday, August 23 from 9:00 a.m. and 12 noon. The free, fun, family event, organized by the Fish & Wildlife Compensation Program, raises awareness of the Western Toad and the other species that call the area home. People who participated learned about the toad’s natural history, life cycle, and habitat needs, and checked out the other local live animals on display. Adult toads typically migrate in early spring to breed at Summit Lake. The dime-size toadlets migrate from Summit Lake to upland habitat in the summer. Thanks to our Toadfest partners: B.C. Parks, and the Ministry of Forests, Lands, Natural Resource Operations & Rural Development. Historically, there was mining in the watersed above Springer Creek. We submitted a proposal for funding to collect water and sediment samples from Springer and do metals-content testing for a year. Reflected by valley-resident support on Dot Day, held at Winlaw Hall (Ap. 8), the community approved our request. We’re the grateful recipients of a $985 grant. Thanks go to our initiative’s supporters and to the Community Initiatives Affected Area Programs (Columbia Basin Trust), providers of the funds, and also to the RDCK (regional administrators of the CIP/APP funds) and Walter Popoff (RDCK Area H Director, who established “Dot Day” in Winlaw). We’re pleased to report that, on November 25, 2016, Slocan River Streamkeepers’ education coordinator, Shanoon Bennett, was presented with an award from the Columbia Basin Environmental Education Network (CBEEN). The award, presented in Fernie to just seven recipients from around the Columbia Basin, is for Environmental Education Excellence. Congratulations to Shanoon for the honour of receiving one. We’re proud of you! 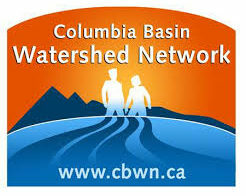 Our region’s WQMP exists as a result of funding support from Columbia Basin Trust. This year Slocan River Streamkeepers have been funded through the WQMP to carry out ongoing monitoring on Lemon Creek. We are very grateful for the support for this important project of ours. Yes, the beavers are still very active along the Slocan River. Crataegus douglasii (Black hawthorn) in Appledale. March 2017.